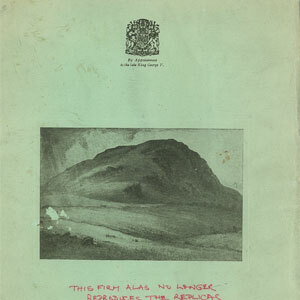 A Catalogue of Traprain Law and other silver made by Brook and Sons of Edinburgh in the 1920’s. The haul of Roman silver, found at Traprain Law, to the south east of Edinburgh, in 1919, was copied by Brook and Sons, of George Street, Edinburgh and usually marked ‘Traprain Treasure 1919 Authorised Reproduction.’ Brook and Sons continued making these copies into the mid-1930’s. Few of the Roman pieces were found intact – most had been cut into pieces – and hence some of the Brook and Sons pieces were interpretations rather than exact copies. This is a large file which may take a few moments to load. previous post: ‘FRENCH PLATED’ BRASS [PART 2]: IDENTIFYING I.D. ‘WITH A CROWN ABOVE’. next post: JOHN FOSSEY AND JOHN FESSEY: A CONFUSION RESOLVED.